As a wedding photographer or even a guest that wants to impress everyone with some incredible photos to later share on social, it is imperative that you not only create your own distinctive mood and voice, but that you reflect the mood of the couple. There are four main things that photographers should focus on during a wedding photoshoot in order to create the right mood in your wedding photographs: building relationships, lighting, editing, and using black and white photos. Building relationships is the most important thing you need to do when photographing in a wedding. 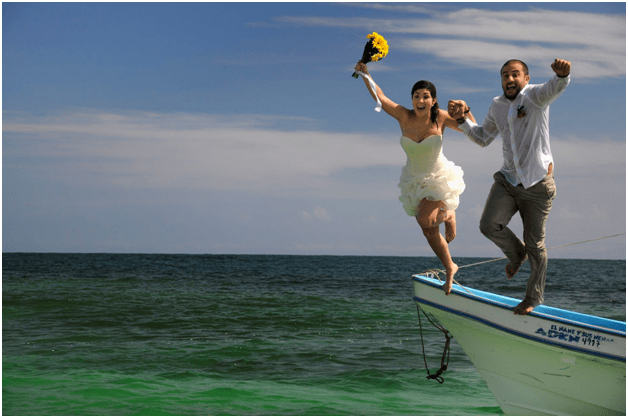 Through having a warm relationship with the couple, you can not only know what look they want from their photos, but you also can get to know them personally and create photographs that reflect who they are as a couple. Pro Advice: Ask them to create a mood board for you so you can understand what they’re looking for if they’re not able to fully find the words to express their vision. If you know the couple’s story, and know what story they want to tell, you can then reflect that in the mood you are creating. Possible moods that they may want to convey could be romantic (which would incorporate soft light and tones), classic (which would incorporate strong light and color), and elegant (which would incorporate more clean lines and black and white photos). Before we get into the more technical aspects of lightning and editing, let’s start off easy with setting a monochrome mood. 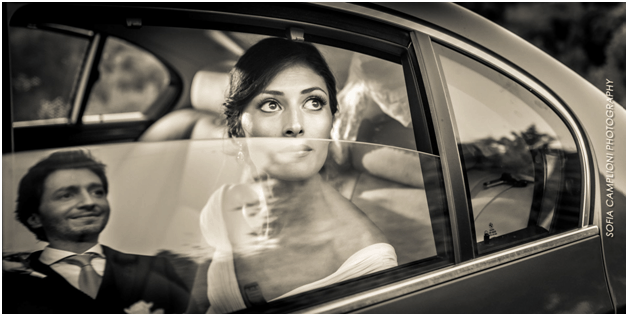 Shooting black and white photographs can be extremely powerful when shooting weddings. Black and white photographs can be a way to create an intimate and timeless frame. However, while the color is taken out of the shot, it is still crucial to maintain your overall desired mood for the shoot. While taking black and white photos – a tip from GuruShots -it’s important to imagine the photo without the color. Instead of looking at how the colors interact with each other in the photo, you need to look at how the hues and tones work together in the photo. Black and white photos are effective for emotional moments in the wedding. The lack of color in the photograph, helps the viewer focus more on the actual subjects of the photo, and therefore the emotions can come across more powerfully. Another plus and advantage of shooting black and white during weddings is due to the fact that black and white photography can help hide blotchy and irritated skin that can naturally grow as the wedding day continues (due to sleepiness or stress). It is a good idea to use color photos and photos in black and white wisely and to shoot in black and white when appropriate. Color photos are good for any moment of the wedding, but black and white photos should be reserved for the most intimate, emotional, and timeless moments. Part of the appeal of B&W images comes from the inherent nostalgia that we have with the monochrome past. It instinctively makes us think of the Good Ol’ Days. Take a look at this – a toast to the black and white glory of Las Vegas – and you’ll feel longing, even if you were never at Sin City. Lighting and aperture can really affect and play into the mood you are trying to shoot. A lot of times during a wedding, you will have to shoot in low-lighting situations. This may happen during the reception or even during the ceremony if it’s a winter wedding. It’s important to know how to shoot in low lighting to not only get a great and clear photo, but to also maintain your mood and style. If you are shooting a reception with your couple and their guests, it is useful and almost necessary to have an off-camera flash. Regardless of the situation or room you’re in, always try to find the best lighting and/or even request the event coordinators to lighten up the room for special moments that you need to capture. When working with lighting during a photoshoot, you should be aware of the light you are capturing in your lens. The aperture you are using can determine how much light is exposed to the photo. The more light, the more exposure will occur in your photos. The smaller the number of aperture, the wider the lens opening, which means you are letting more light into the camera. When creating a mood in your wedding photoshoot, it is important that you are consistent with your editing. In order to create this consistency, it’s helpful to create your own presets or filters depending on what photo editing software you’re using. 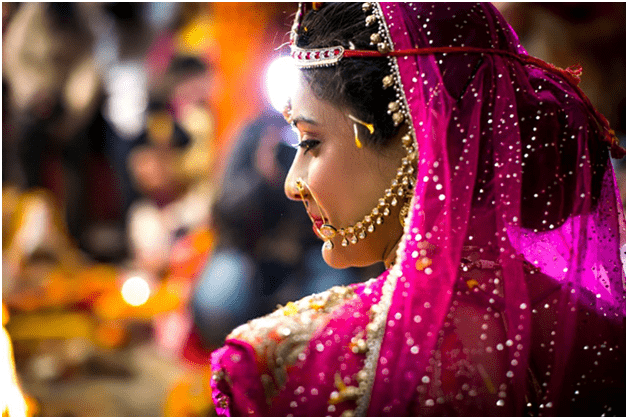 If you are using Adobe Lightroom, you can create your own preset to use throughout your photos of the day to reflect the right mood in your wedding photographs. Creating presets or using filters will help make sure that all of your photos are consistently edited and are working together to tell the story of the day.